Climate: Tropical and humid with an average of 300 sunny days/year. I know, life here is rough! Temperatures average 28 C (82 F), cooling to around 20 C (70 F) at night. The hottest months of the year are June through October, during which time the high temperatures reach around 35 C (90 F) + usually 10 degrees of humidity added making it very hot. Sweating becomes a lifestyle - not a choice. Rainy season kicks in end of June through October. Getting Here - When flying in, you arrive atthe International Airport (Gustavo Días Ordaz). This is only 6 km’s north of Puerto Vallarta and is the way most enter this great place. The weekly traffic during high seasons can get up to 450 flights with both domestic and international flights, especially coming from the larger cities in the US/Canada. Transfers fees from the airport to your destination are reasonable. Travelers must approach the taxi booth to pay the fee for the service at the air terminal, where they will be assigned a vehicle that will take them to their destination. Drinking Water – For 19 years in a row, Puerto Vallarta water has been awarded a certification of the purity of human consumption. It is only one of two cities in Mexico that can boast of such accomplishment. Still, the water is not considered drinkable, caution is needed. Larger hotels have their own purification equipment and most restaurants use purified water. If in doubt, put your mind at ease; purchase your own bottled water. Locals buy their water too! For more information, please refer to our health & safety page. Fruits & Vegetables - It is important treat all fresh fruits or vegetables with Microdyne (even the locals do). Put unpeeled fruits and vegetables in a large bowl or sink, fill with tap water, put in a few drops of Microdyne and let them sit for 20 minutes. The can then be dried off with towel and eaten. Medical – Hospitals & Clinics are nearby to handle any Emergency. Most Pharmacies - Farmacia Guadalajara & CMQ are open 24 hrs/day. Many visitors even plan their visits to accommodate dental work, eye glasses and other surgeries while here. Current Time Zone – When you are on vacation, time is not important, for those that just need to know the time… Bucerias is on Central Standard Time (CST). This an adjustment as of April 4, 2010 and is now the same time as Puerto Vallarta and airport! Eating out – Bucerias boasts some of the best restaurants in the bay, please remember to tip. It is also considered poor manners to present the check before it is requested, when you are ready to leave, practice your Spanish “La cuenta, por favor (the bill please)” and they will bring your bill. Banking – Banks are open 9 am – 2 pm, with a few Branches open till 5 pm. You can withdraw money here through ATM machines and get reasonable rates or get money exchanged at small currency exchange locations, which offer the same service as the larger bank and may mean less standing in line. Hotels traditionally are not as favorable to the traveler. Some have suggested using ATM machines attached to a bank. If there is a problem with not getting the correct amount, you can at least go into the bank to correct it. Withdrawl during business hours as much as possible so you can get help if needed. Dialing – From Canada or the US to a local # here, dial 011-52-(area code) + local 7 digit number (Area code in Bucerias is 329, Puerto Vallarta is 322). Cell phones from Canada or US work here but likely very expensive. Some can be programmed here to work here at local rates or purchase a pay as you go phone and get a few minutes included for as low as $20. See our dialing in Mexico page & important Numbers page. Transportation – For visitors, Buses & Taxi’s are the primary means of transportation or car rentals for those that prefer to have their own vehicle. Most take a Taxi; rates are fixed by law, but always double check before you get into the taxi. Refer to our getting around page to see where set rates and defined zones are. Essentially, It to take a Taxi, it will cost approx 300 pesos ($30) to get to Bucerias from the Airport. A taxi ride from anywhere else in Puerto Vallarta (PV) to Bucerias will cost about 150-200 Pesos ($15-$20). The reverse, Bucerias to PV will cost 150-200 Pesos ($15-$20). If taking a bus, it will cost $10 pesos ($1) to get to PV Walmart, transfer for $4 Pesos ($0.40) into downtown PV. Beaches – All beaches are public, even in front of the Hotels. However, please be respectful of there property (chairs, umbrella’s, etc) that are reserved for there guests only. When you take a walk along the beach, take some time to see other accomodations to snoop around and look at some of the other hotels. 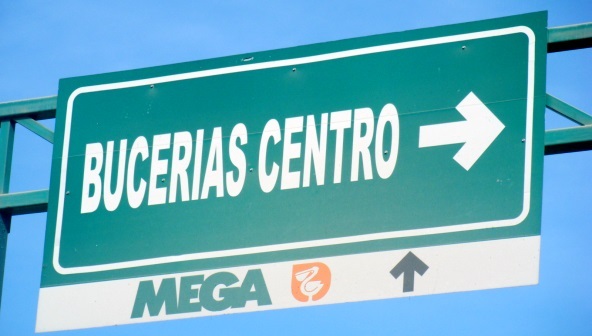 Perhaps that could be where you go next time you come back to Bucerias! Trips & Tours – Mexico is like any other place, many here make a living off of tourism and with that come vacation getaways. Timeshare offers here are common, especially closer towards PV, Bucerias is more laid back and you are not approached as much. Many timeshare sales people will try to entice you by offering a free trip or tour. You will get what they promised you, but understand you will have to attend a ½ day sales presentation. If this does not interest you, there are other ways to book a trip or tour. See our things to do page for ideas. Public Holidays – Banks and Government offices dictate mainly what stays open or closed. Some business may either open late or close early on certain holiday. Watch for signs or announcements. Shipping – You can ship out from Bucerias by going to "Mail Boxes" on the road to the Decameron. There is also a Post Office near the downtown. There is also a DHL now in Bucerias. View our services page for more information. Volunteering – Bucerias offers a great opportunity to get involved locally. Efforts are being made to improve living standards by recycling, Orphanages to help families to care for young ones, animal clinics, etc. If you would like to get involved, see our community page. Exporting Pets – Tourists see stray pets, befriend them and become close friends! To bring a pet home, call the local animal shelter for more info: 329-293-3690.